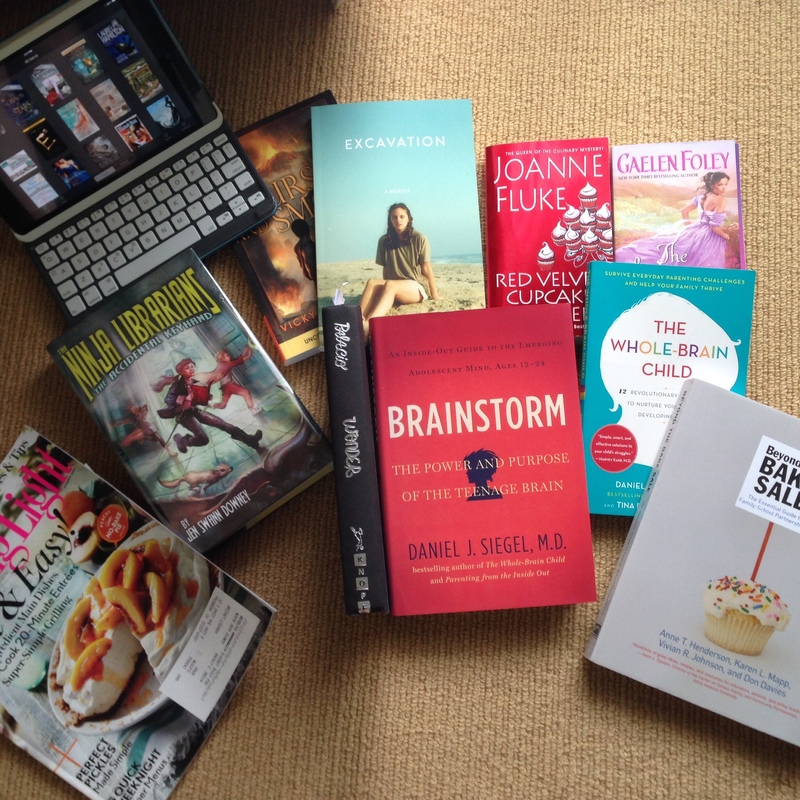 Here it is folks, the annual “what I am reading” post. It is a summer of reading to be sure, and I am always excited to figure out what I am most in the mood for. I am habitual like most of us humans, so I have a pattern to my reading habits. As soon as the school year comes to a close you can always find me reading the latest Historical (Regency) Romance from a favorite author of mine (Gaelen Foley). This is my comfort food, and like comfort food, it is predictable and simple. It is a great way to decompress from all the work-stress that has built up over the school year. But after that, anything goes. I’ll read just about anything that moves me. Missing this year from the collection I have put together (see above) is poetry (! )…If any readers out there have some excellent recommendations, please do share. YA works are figuring prominently this summer (Wonder, Ninja Librarians, Curses & Smoke). But my favorite to represent is my friend’s just released memoir, Excavation. Go out and buy this must-read book. I warn you, though, it is not for the faint of heart. If you are interested in a book oracle (of sorts) and are looking for something to read try this: What Should I Read Next. It works by you typing in a book you read recently and then it lists others that might be like it. It isn’t a complete database, but it is pretty good and can give you some ideas.